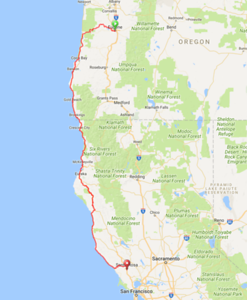 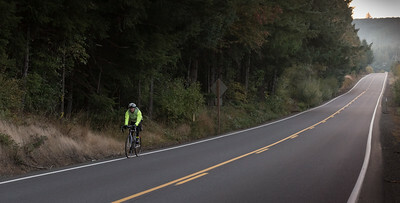 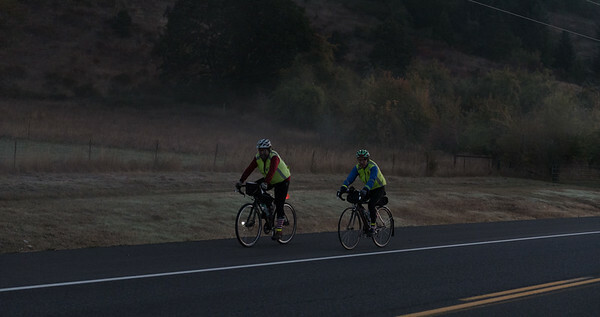 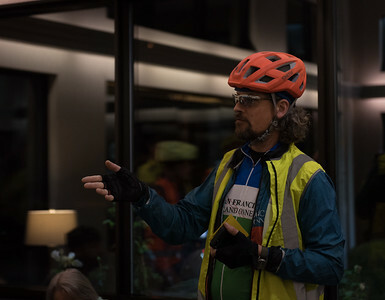 Hosted by the San Francisco Randonneurs, this 1000k brevet started in Eugene, Oregon in the early morning of October 5th and finished in Petaluma, California. 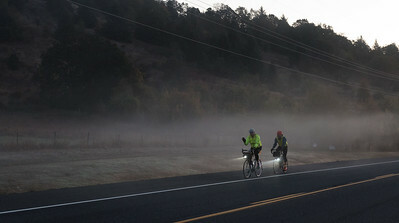 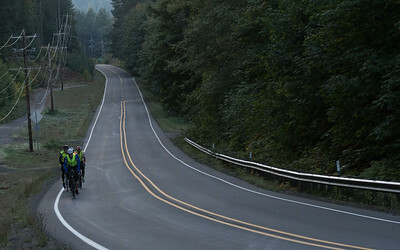 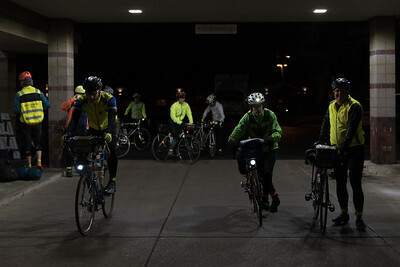 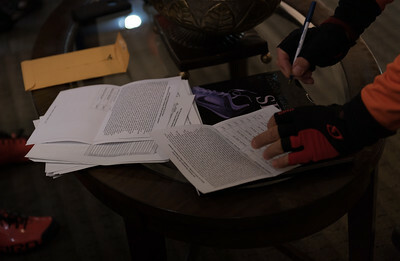 Eighteen riders started; fourteen riders completed within the 75 hour time limit. 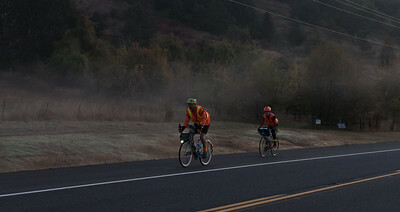 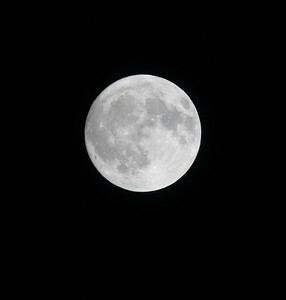 Beautiful October weather and strong tailwinds down the coast helped mitigate some of the climbing...perhaps. 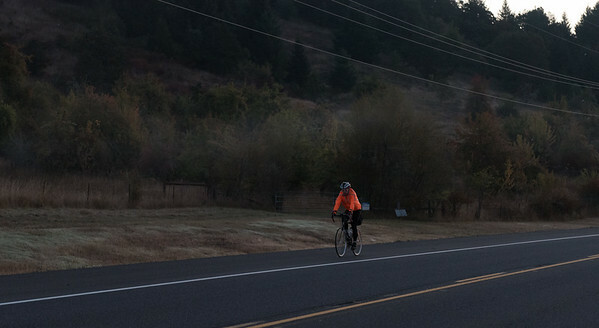 Drop-bag support provided in Gold Beach, OR and Garberville, CA divided the journey into three 220-ish mile segments. 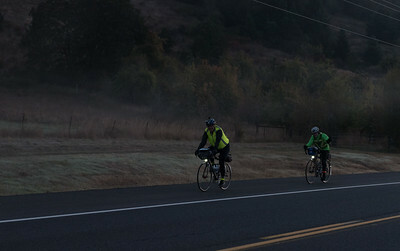 This photographer is in awe of all eighteen randonneurs who rolled up to the start.